Georgette Chapman Phillips, one of the few black women leading U.S. business schools, is transforming a small Pennsylvania MBA program. Despite the many women’s leadership programs trying to help women reach the top rungs of their careers, the number of women actually getting there remains disappointing. A recent New York Times report found that there are more men named John running large companies than women (of any name). But there’s some good news in Pennsylvania’s Lehigh Valley. 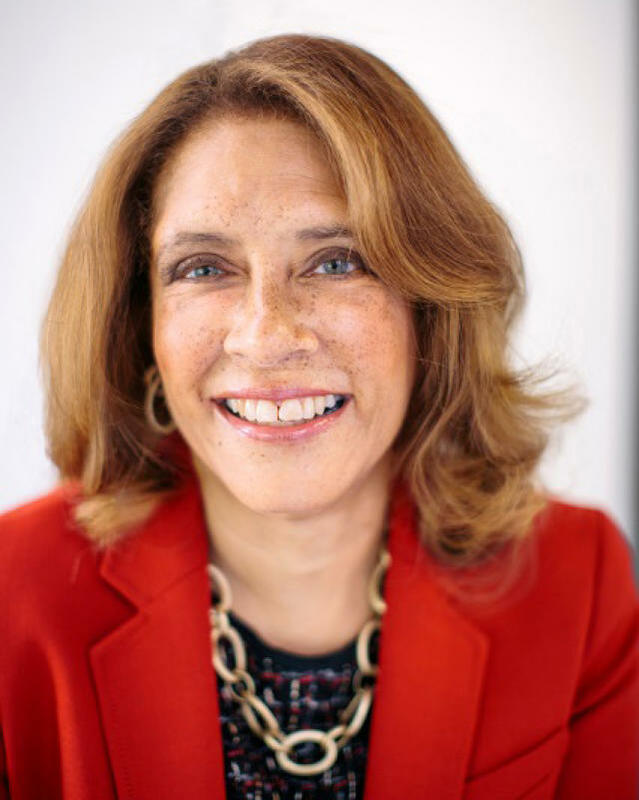 In July 2014, Georgette Chapman Phillips was named dean of Lehigh University’s College of Business and Economics (CBE) in Bethlehem, Pennsylvania, making her one of a small handful of African American women leading U.S. business schools outside of historically black colleges and universities. Phillips’s background is impressive. After completing her undergraduate work at Bryn Mawr College, she received her law degree from Harvard. From there, she built a successful law practice before teaching at the University of Pennsylvania’s Wharton School in Philadelphia, where she climbed the ranks over 22 years, including serving as vice dean for the undergraduate division. When she was offered the opportunity at Lehigh, she jumped at the chance to make a difference. “The raw material for change here and greatness is just so deep. With the right type of vision, strategy, implementation, change, you could take what is a very good business school and turn it into an extraordinary business school. That’s my goal,” she says. Admittedly, making Lehigh a competitive full business school is going to take some work. While the undergraduate business program is strong, the graduate program is limited to a 10-month part-time evening MBA program. That’s a problem. She’s already spearheaded the launch of a master’s in management, which was approved in December 2014 and will launch its first class in August 2015. There is no official launch date for other graduate programs yet. As she works with faculty to develop the school’s other graduate degrees, she’s striving to ensure candidates will be well-prepared, mastering skills like writing, communication, and critical thinking, in addition to study in their areas of specialization, all of which will help them find employment more quickly. That’s good for the school and good for students who may be carrying student loan debt–a challenge to which Phillips is sensitive. “If you don’t have the skills the job market is searching for to get a job that can pay that debt, that’s really bad,” she says. At the same time, Phillips doesn’t want to unleash a legion of drones into the workforce. She believes in the value of a liberal arts education in giving students general knowledge, history, and context that make them more effective in their careers. Undergraduates take somewhere between 35 and 40 percent of their classes outside of the business school. At some point, we have to just stop talking. . . . ‘We’ve got to live in beta.’ If we wait for everything to be exactly right, the moment has passed. Phillips is also working on partnerships with local business groups to get students more involved with helping community businesses thrive, which will bolster the area’s economic development. Getting students involved with businesses will give them real-world experience while putting the muscle of the university’s resources and students behind regional business development efforts. But you can’t create such fundamental change without challenges. Phillips says one of the biggest for her is the pace of academia, which is decidedly slower than that of the business world. But even Phillips’s passion, vision, and impressive credentials don’t make her immune to bias. More than once, she says she has walked into a meeting where participants thought the dean was a man named George Phillips, and she was his secretary. “You walk into a room and they say, ‘We’re waiting for the dean.’ Well, she’s here,” she says. Lehigh itself has struggled with diversity issues lately. Overall, the student population is 56% male and 44% female, according to U.S. News & World Report’s rankings. The university reports that 3% of students are black, 7% are Asian-American or Pacific Islander, and 8% are Latino. The university was recently the target of a federal investigation by the U.S. Department of Education’s Office for Civil Rights amid allegations that Lehigh had a racially hostile environment following an incident of vandalism at a racially diverse residence hall. The investigation ended in September 2014 when the university entered into a voluntary resolution agreement with the Department of Education, agreeing to various education, training, and policy revision measures. You walk into a room and they say, ‘We’re waiting for the dean.’ Well, she’s here. So Phillips, who was praised for championing diversity at Wharton, has another opportunity. She and her team are working on outreach to high schools to court outstanding women and minority candidates. But she also wants to change the definition of diversity to mean more than race, ethnicity, and gender by including international students and first-generation college students. Each has varied needs to help them succeed, she says. Creating an environment where everyone feels supported and welcome is the first step. Toward that end, Phillips is a staunch advocate of mentorship. She vows to remain accessible to students so they may share their concerns, ask questions, and get advice or help. Good mentorship isn’t about being too soft, she says. Instead, you should look for a mentor who will be straightforward with you. Students who are immersed in a community that strives for diversity–helmed by a strong leader who reflects that attitude–are going to emerge better prepared for a world that is filled with people who are different than they are, she says. In an increasingly international marketplace, that’s going to be an important personal attribute, she adds.